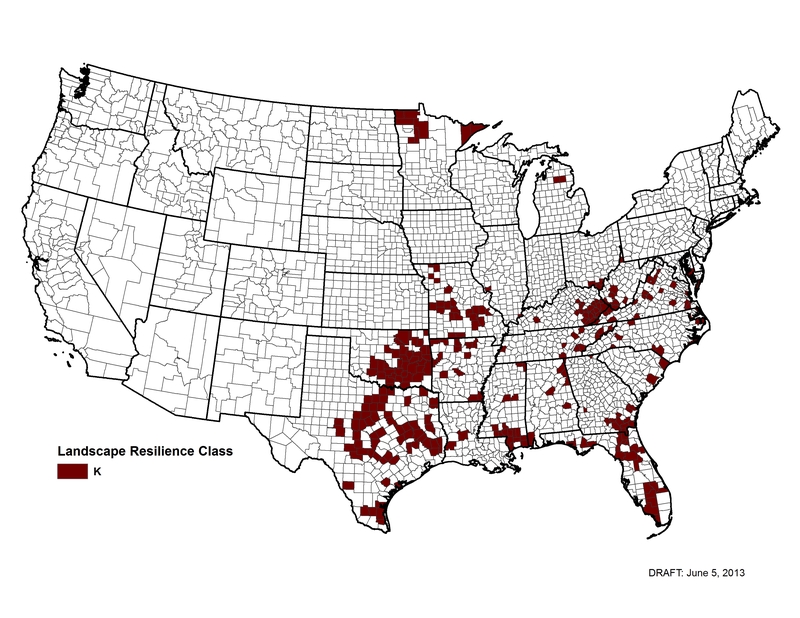 This resiliency class is forested, but not heavily with only 10-40% coverage. These areas are not in the Western United States, but in the mixed natural and developed landscapes of the Northeast and Southeast. There is a lesser amount of federal ownership, with high burn probabilities and low flame intensity. There is a history of prescribed fire in these areas.